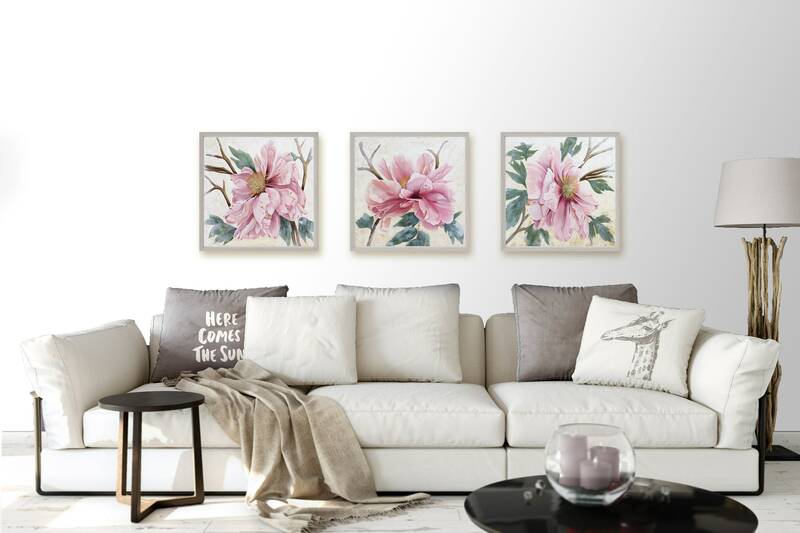 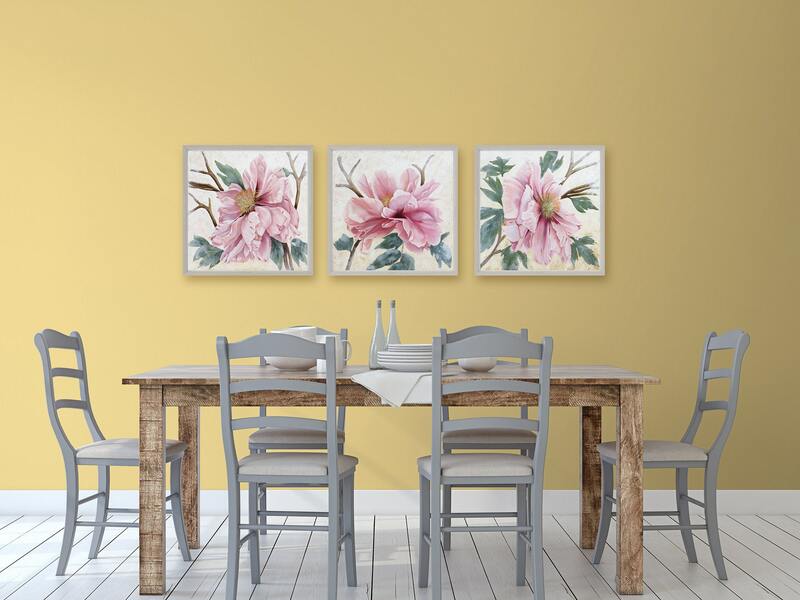 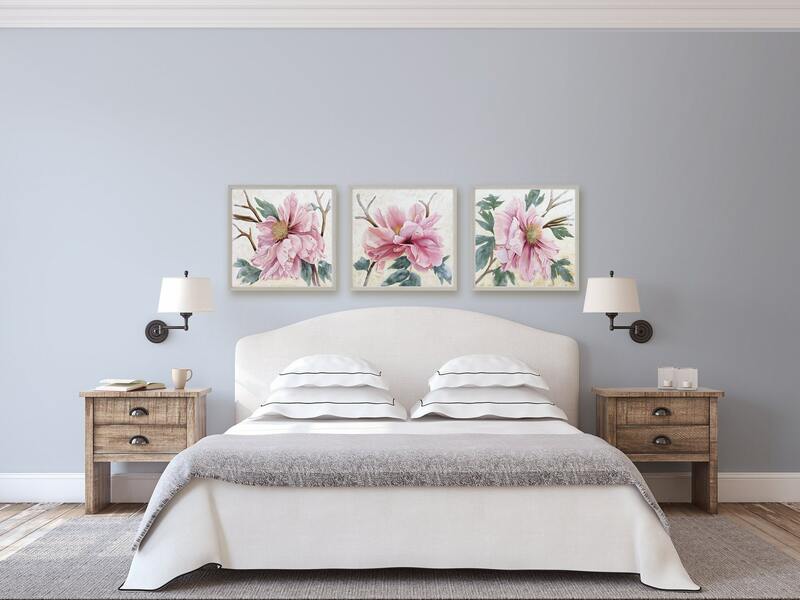 Set of three art prints of the original paintings of a series of three blush pink peonies in the "Branches Collection" designed and drawn by artist Carla Thomson. 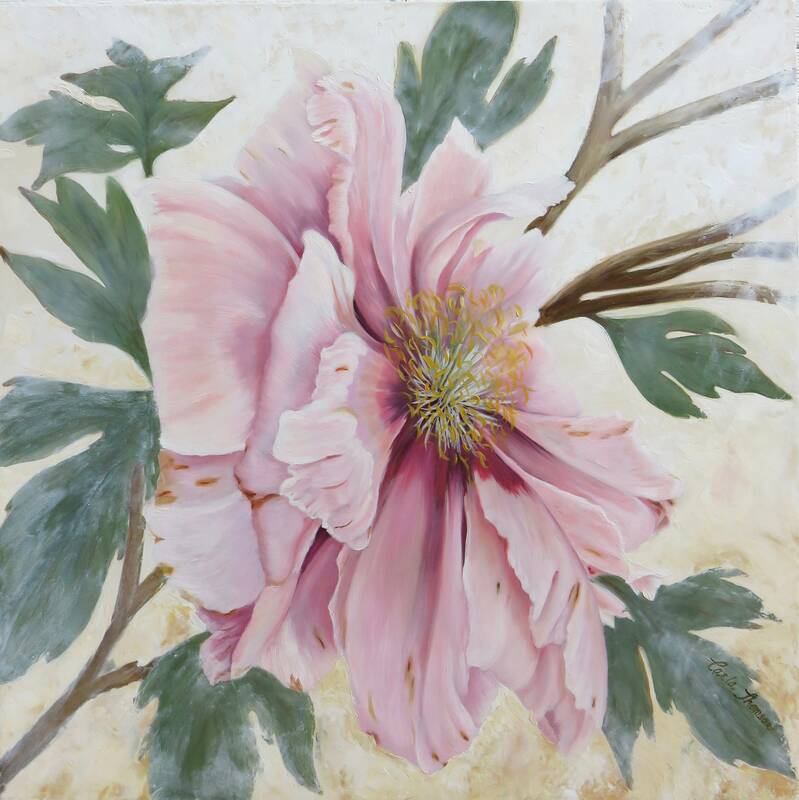 Peonies are one of my favorite subjects to paint. 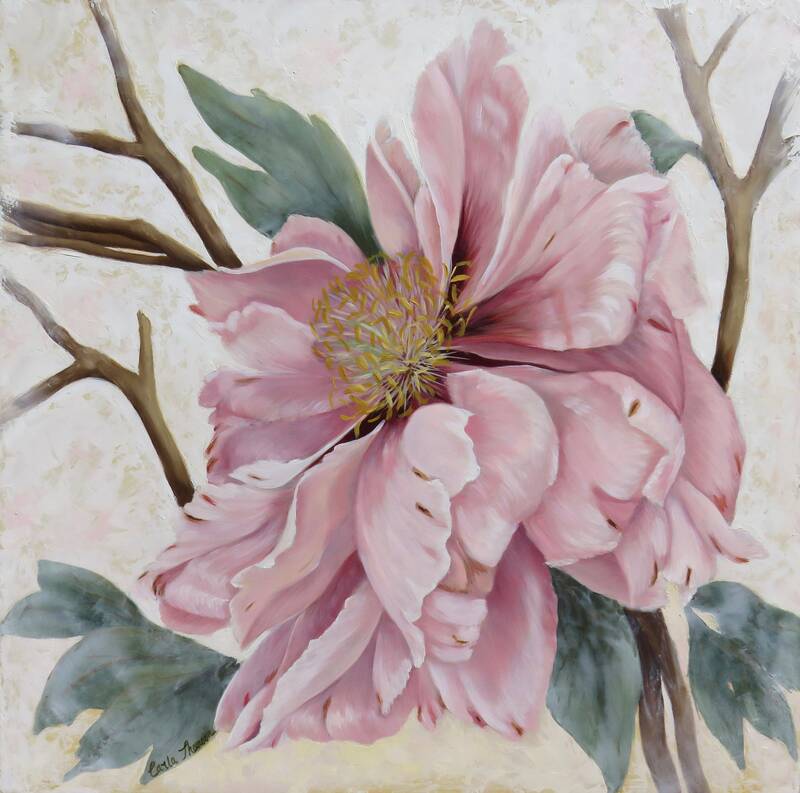 These are three flowers from a tree peony captured as they were starting to wilt but no less beautiful. 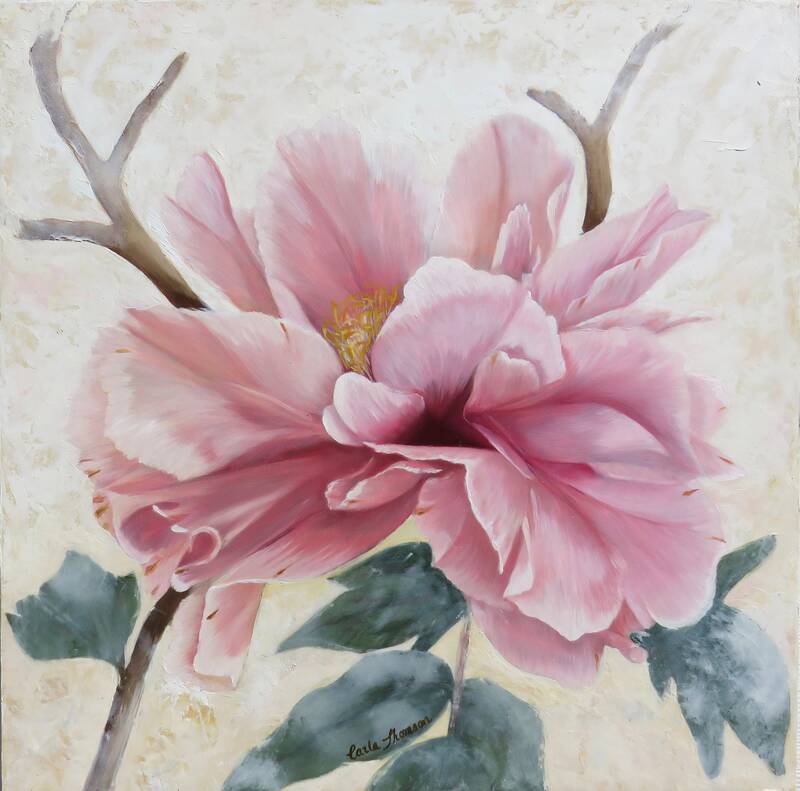 The originals were painted with cold wax mixed with oils on board. 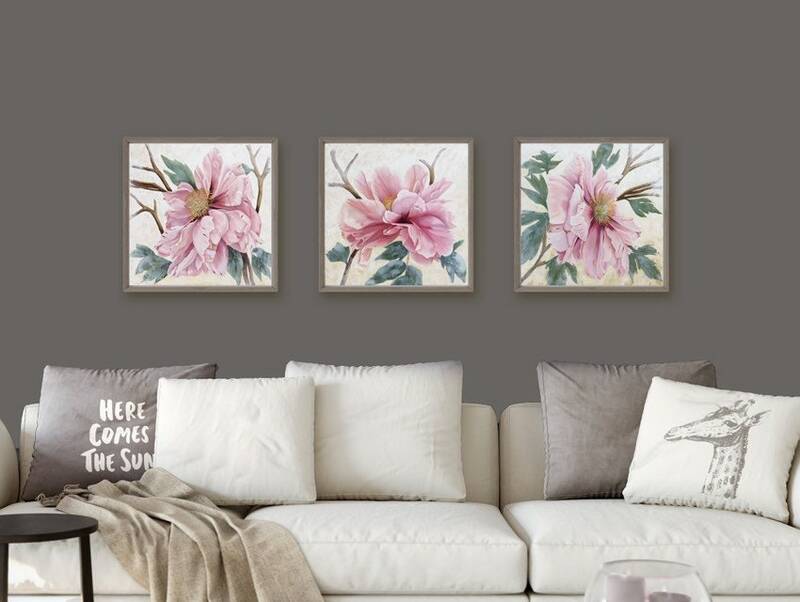 The transparency of the multiple layers is beautifully reproduced in the prints. 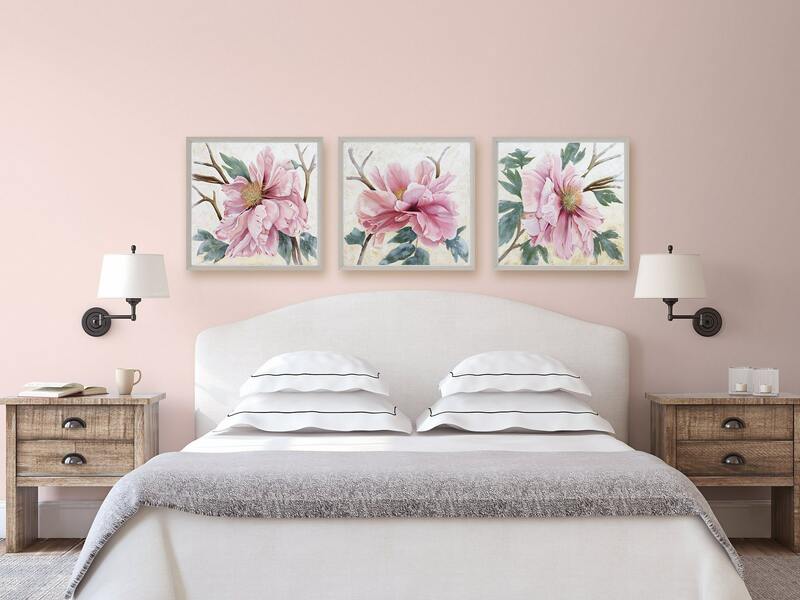 Hang one, two or the set of three to make a statement. 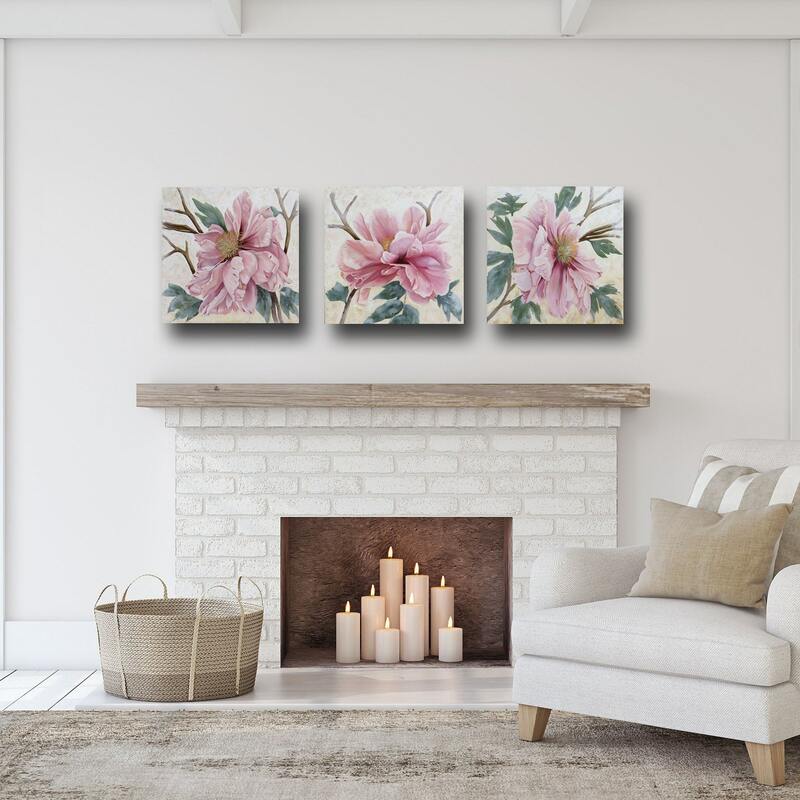 The neutral tone and square format will enhance any space and decor whether you prefer modern farmhouse, shabby chic or rustic.